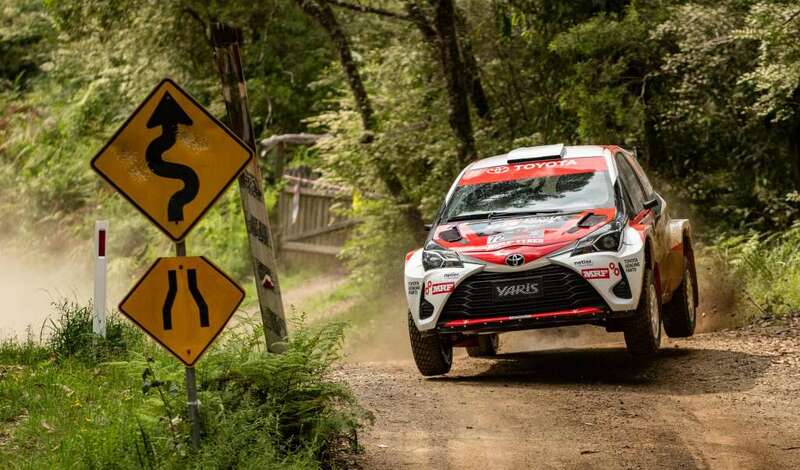 It was an eventful start to the sixth and final round of the CAMS Australian Rally Championship at Kennards Hire Rally Australia, with two championship contenders suffering major setbacks to their title hopes. Championship leaders, Tankformers’ Eli Evans and Ben Searcy found themselves stranded in SS3, the Skoda Fabia R5 landing heavily after a jump and sustaining a broken radiator. Earlier in SS2, Subaru do Motorsport’s Molly Taylor and Malcolm Read’s morning came to a abrupt holt after a heavy crash in the WRX STi. Fortunately, reports are that both Taylor and Read are okay. Bates had a steady morning but did not go unscathed, the Yaris AP4 suffering driveshaft issues in SS3. Bates was confident of an easy fix before a further five stages this afternoon. Young guns Wayne Morton and Kirra Penny are also enjoying their return to the ARC in their trusty Toyota Corolla S2000, sitting in third place. 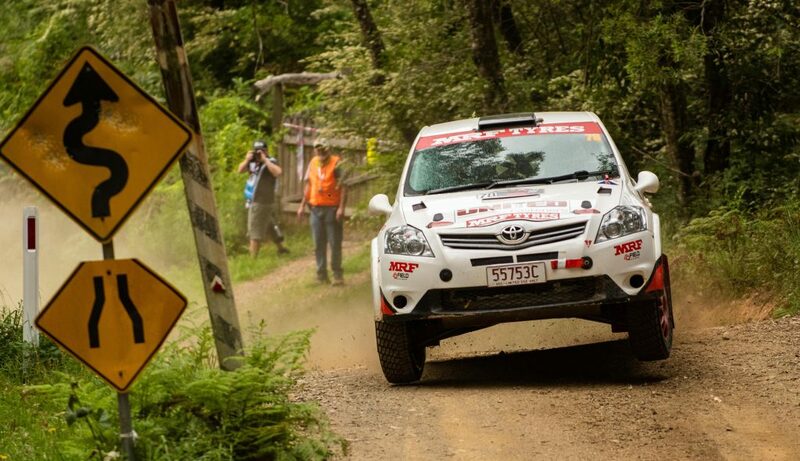 Luke Anear and Jon Mitchell sit in fourth with Andrew Penny and Rhys Llewellyn rounding out the top five. Title contender Contel Communications’ Steve Glenney, with co-driver Andy Sarandis, had a tough start coming to terms with the Skoda Fabia R5, the pair losing more than three minutes in SS3 with a flat, a spin and a stall. They currently sit in eight place. In the ARC2 final, Penny, in the four-wheel-drive Subaru WRZ STi, leads the Mazda RX7 of Adam Kaplan by 31 seconds with Haowen Chu in third and Kevin Raedel fourth. Leg one continues this afternoon with five special stages, including two passes of the Destination NSW Super Special Stage down on the waterfront. *Hatton/Long were allocated time after stopping to assist Taylor/Read in SS2. The amount of time they were allocated will be assessed again at the end of the day once more data is available.